Since the last century, it has been classified under the science of psychiatry when it was observed that fear and apprehension could affect the mental and physical functions of those afflicted. It is manifested in various symptoms classified into mental anxiety, physical tension and panic attacks. In many instances, the anxiety persists continuously even if the perceived threat or feared object is no longer present. It is not uncommon for a person to experience real terror and fear accompanied by nausea, confused thinking, breathing difficulty and trembling which can last from a few minutes to several hours. Fear of situations, objects, persons, or animals is known as phobia and is considered as a form of anxiety disorder. This is usually triggered by a bad experience involving the feared object, situation or animal. For instance, fear of snakes can be caused by a bad experience involving snakes. Obsession is also considered a form of anxiety disorders. Obsessive feelings for persons, objects, or circumstances can cause an abnormal malfunction of the emotional state, converting intensive obsession to compulsive behaviour. Another related anxiety is separation anxiety. Excessive attachment to a person can cause a breakdown of control when the person is separated from his beloved. In this situation, a positive emotion like love becomes an abnormality if felt intensely for an individual. When the beloved is separated, the actions of the affected person become irrational. The separation results to trauma and the pain it causes is intense. The classic example of an anxiety disorder is when a person confronted by a persistent threat or possibility of ruin or malady from either work or business, continuously experience a lingering fear for hours or days at a time. Such episodes are better known and described as panic attacks. In panic attacks, the mental state begins to affect the physical state and physical symptoms like nervousness, shortness of breath and increased heartbeat are felt by the afflicted persons. 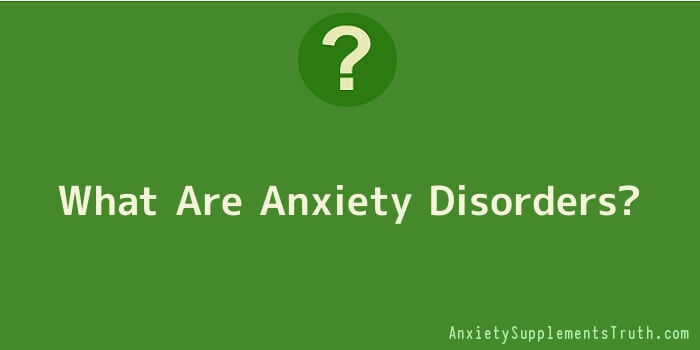 Sometimes, the anxiety can reach up to six months and becomes a lingering malady. Anxiety disorders can also affect children who, when afflicted by persistent worries and fears, suffer from abnormal functioning in their learning processes and social relationships. They suffer from mental depression, lose their reasoning capabilities, and totally fail in school activities. Even their physical health are affected since most afflicted children experience dysfunctions like diarrhoea, stomach upset, increased heart rate and blood pressure, nausea, shortness of breath and many other symptoms. Many eventually suffer from sleeping problems which only worsen their condition. Separation anxiety also affects children and the most intense cases of this type are those involving children It is imperative that simple worries experienced by children do not become anxiety disorders. A good family environment help prevent such things from occurring. But in case the inevitable happens, it is always good to get expert advice and provide treatment for these disorders. Psychotherapy is the best recourse once the observed symptoms confirm that the fears experienced by the children belong to the category of anxiety disorders.